WBC is a locally based business networking group. They meet on a weekly basis. They promote and grow each other’s business. All members actively promote your business for you. Members obtain leads during their working week by recommendation. Because of this clients are encouraged. 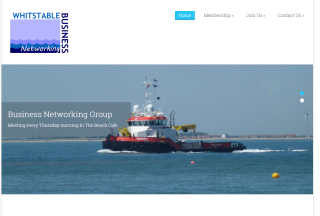 Whitstable Business club welcome most business people. Therefore there is a need to check your business category. Make sure is not already represented by, or in conflict with, a current member. For example, one plumber, one printer, one web designer etc. Consequently some categories are on a waiting list.